We spotted exposed storage throughout Copenhagen, everywhere from wine bars and restaurants to small boutiques and homes. Below are some good examples of attractive open storage, and our two cents on why each of these examples works. Scroll through to see our picks for affordable shelving, storage bins and accessories! A curated, yet diverse, collection of objects makes this display system interesting, but not overwhelming. Curate the look by leaving some breathing room between groups of objects, and mix up the scale of objects on display. Most of you probably have enough items on hand already to curate a beautiful display. Editing is key to this mix & match look. When in doubt, add a plant to the mix. We love using Monstera leaves, as shown here. 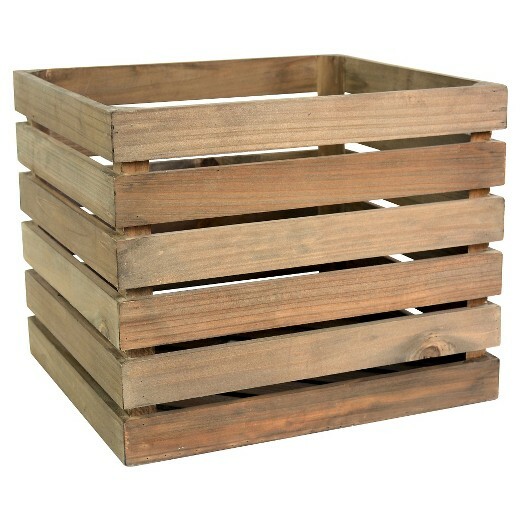 If you have a lot of smaller items that you need to store, consider investing in some aesthetically pleasing storage bins, boxes or baskets. We love the mix of patterns, colors and sizes shown in Bungalow, a tiny but must-see textile store located in the Nørrebro neighborhood of Copenhagen. Big wine drinker? We like wine, too. If you don't have a wine cellar (and who does?! ), consider using your wine collection as a display. If you collect something, use whatever that item is (vases, dog statues, etc.) to assemble a really powerful open shelving display. A large grouping of similar items makes a display look intentional, and not like a storage afterthought. 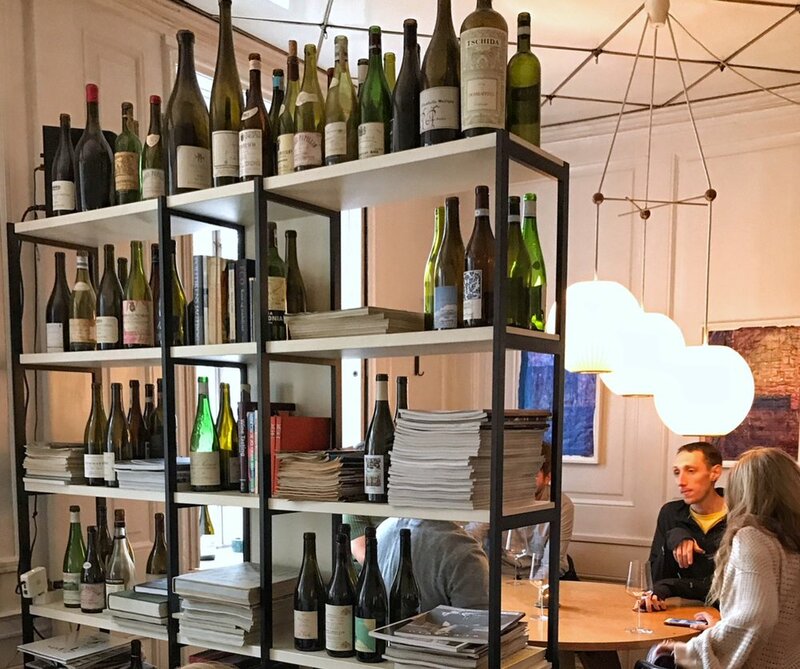 This small wine bar in the city center successfully uses their wine collection to achieve that effortlessly-cool, loft vibe. The shelving also helps divide two different seating areas, and is accessible on all sides. Wins all around! Here are some of our favorite & affordable items to help you get this look in your space. Contact us about our styling sessions. We can style an entire room or smaller focused areas, like book shelves.